The Nigerian government has debunked the reports that it has plans of selling the over $8 billion Ajaokuta Steel plant in Kogi state, despite its redundancy. Yahaya Bello, Kogi State Governor, revealed this to State House reporters Thursday after he met with the country’s Vice President, Yemi Osinbajo. “The Vice President said there is no plan by the Federal Government to sell Ajaokuta Steel Company. The Vice President said Ajaokuta is an asset of the Federal Government and that they are looking into how best to make good use of that particular complex for the benefit of Nigerians at large,” Bello said. Earlier in the week, the Central Bank of Nigeria, CBN, Governor, Godwin Emefiele, had, while briefing the Nigerian delegation at the end of the International Monetary Fund/World Bank Group meetings in Bali, Indonesia, said the company will be sold. The steel plant which has 12,000 plots large, 68-kilometre road network and another 24-kilometre road network underground, was built four decades ago and has never produced any steel due to the dispute over the ownership of the Ajaokuta Steel Complex and Nigerian Iron Ore Mining Company (NIOMCO). The dispute made it impossible for the government to make any long‐term plans for the concession or privatisation of the two companies. However, the federal government in an attempt to revitalise the steel sector signed a renegotiated concession agreement with Global Steel Holdings Limited for the Nigerian Iron Ore Mining Company (NIOMCO), Itakpe. 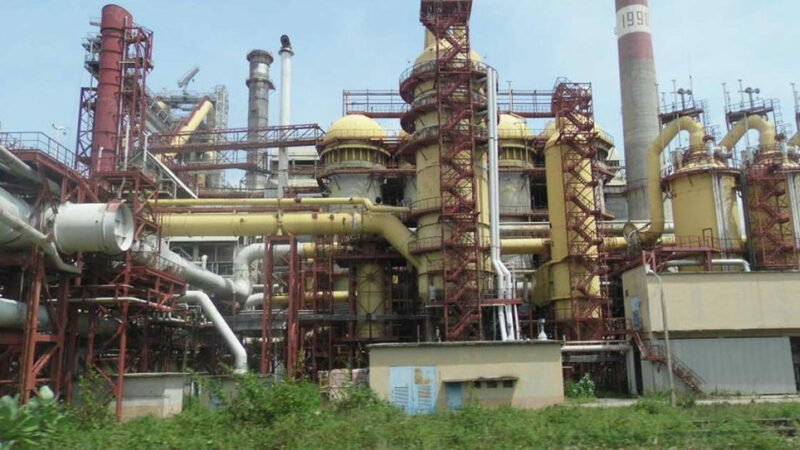 By the new agreement, the Ajaokuta Steel Complex was reverted to the Federal Government, effectively freeing the entity from all contractual encumbrances that had left it uncompleted and non-functional for decades, while GSHL retains NIOMCO. The agreement, which came after four years of mediation, was signed at a short ceremony presided by Osinbajo.